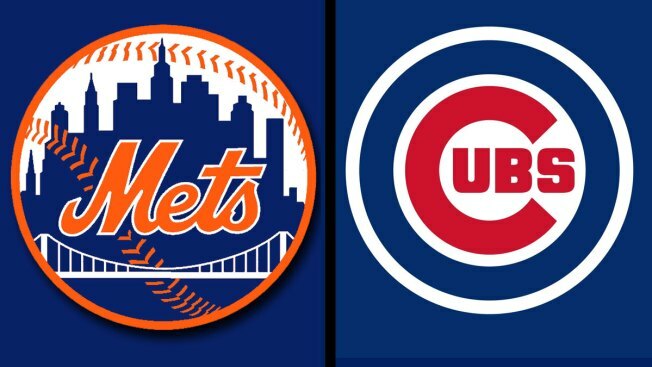 Chicago's mayor along with Illinois' state Senate president and several colleagues have accepted a friendly wager from their counterparts in New York as the Chicago Cubs take on the Mets in the National League Championship Series. Mayor De Blasio tweeted out that if the Mets lose he'll serve up a few slices from Grimaldis and beer from Gunhill Brewery along with a donation to two Chicago programs that help kids. If the cubs lose Chicago mayor Rahm Emanuel says he will send over some Chicago style pizza and a local brew, plus donate to charities of De Blasio's choosing. Illinois Senate President John Cullerton also made a wager on the series with New York State Sen. Joe Addabbo. The losers of the bet will send the winners their city's signature style of pizza and wear the winning team's apparel on the floor of their legislative chamber.